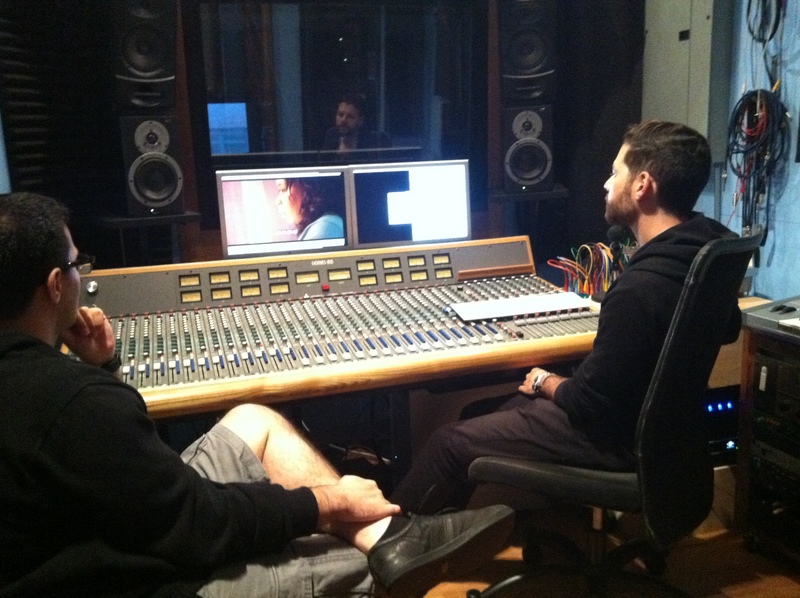 “In-Kind” co-director Stephanie Dawson and I recently met with our composer/sound designer Jay Rothman at his studio in Hell’s Kitchen, New York for our spotting session. With limited knowledge about film music—but with an immense appreciation and respect for it—we allowed Jay to guide us a bit. We watched the film in its entirety to get a feel for it, then again scene by scene, all the while conveying the emotions we’re looking to extract from the audience—as well as what the characters are feeling—along the way. Since Jay is wearing two hats, as composer and sound designer, we discussed both crafts simultaneously, highlighting the various cues where music should begin and end, as well as the different sound effects that would help enliven the story.